Guess what? It's not only instigated conflict but also created a misperception of UK Foreign Policy. For Oxford City Council, flying West Papua separatist flag is not a big deal because they simply only support or sympathise to Oxford based Free West Papua Campaign. However, that is engaging in reckless policy that puts Papuan lives at risk. On top of that, Oxford City Council has continually shown ignorance in all sorts of matters concerning the situation in West Papua, especially regarding false news from Free West Papua Campaign. 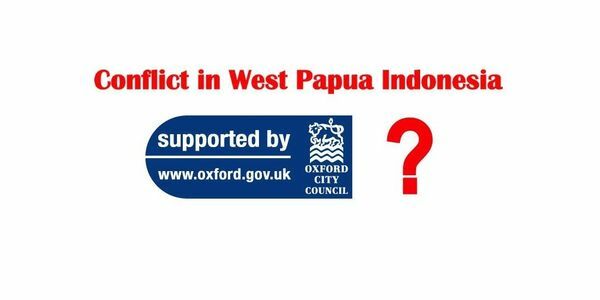 It's time for Oxford City Council to stop provoking conflict in West Papua and let the diplomats from the FCO do the peaceful engagement by supporting peace development in West Papua. Nobody expects all members of Oxford City Council to know everything. However, we do expect representatives of Oxford people to be aware of the safety of the people who live far away from Oxford, which is something better than deepening conflict by flying separatist West Papua flag. Please sign this petition asking Oxford City Council to stop instigating conflict by flying West Papua separatist flag!